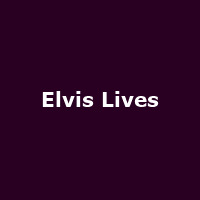 "Elvis Lives is an unforgettable multi-media and live musical journey across Elvis' life. His iconic style, embraced by many of today's artists, continues to intrigue audiences of all generations. Featuring finalists from Elvis Presley Enterprises' worldwide Ultimate Elvis Tribute Artist Contest, audiences "Can't Help Falling In Love"® with this phenomenal theatrical concert experience."